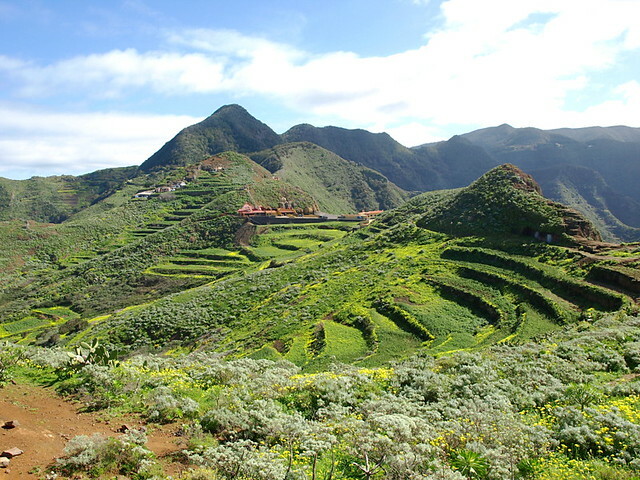 Think of walking in the Canary Islands and most people will automatically name La Gomera as the number one destination and Tenerife would be lucky if it got onto the list at all. 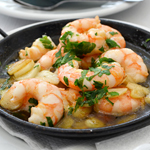 Yet, move inland and away from the purpose built resorts of Tenerife and you’ll find an island whose variety of landscapes and terrain far outweigh that of its quiet neighbour. The presence of Mount Teide coupled with the mountain ranges of the Anagas, Teno and Adeje lend Tenerife walking terrain that changes every thousand metres above sea level. There are rain forests which have survived the Ice Age and which edge deep ravines where communities still live in caves; tiny hamlets whose inhabitants tend precipitous terraces by hand, and beautiful coastal paths which weave through palm groves. Add to that the fact that very few people consider the island a walking or trekking destination and what you’ve got is an undiscovered walker’s Paradise where you can explore all day and barely meet another soul. 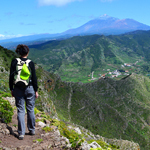 So if walking is your thing, pick up some Tenerife Island Walks, pack the boots and get to Tenerife before the cat gets out of the bag that it’s one of Europe’s best walking destinations. 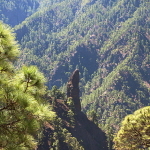 The Anaga Mountains are the number one walking destination on Tenerife. Exploring the Anagas is akin to stepping into a living museum and discovering a taste of what life in Tenerife was like before tourism. Beautiful, dramatic, breathtaking, challenging and rewarding; the Anagas have all the ingredients for classic walking. 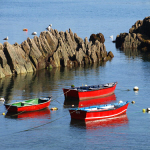 Cruz del Carmen to Chinamada will take you from a forest viewpoint to a tiny hamlet where electricity is a new development and the inhabitants live in cave houses while Chamorga to Roque Bermejo begins by a Drago tree forest and leads to a boat building hamlet accessible only by boat or by three hour trek. 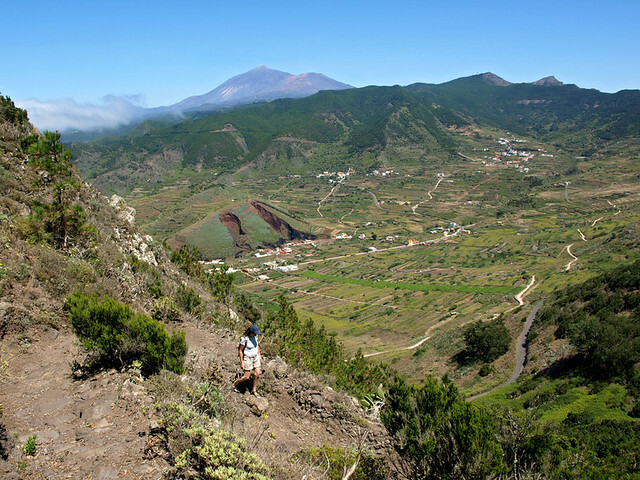 The La Orotava Valley is easily accessible from Puerto de la Cruz and in the upper reaches en route to Teide National Park, dense pine and laurel woodland provide a maze of paths that skirt the island’s spine beneath the ever present gaze of Mount Teide. Los Organos takes you from a picnic zone inside a volcanic crater and tests your thighs to the upper levels of the valley where you look down over the sea of clouds. Located between 900 and 1200 metres above sea level in the sunny south west of Tenerife, the Santiago Valley is a delightfully unspoilt rural area with the pretty hamlet of Santiago del Teide at its heart. Valle de Arriba to Arguayo sets out from the tranquil hamlet of Valle de Arriba and carries you through volcanic terrain, skidding down pumice mountains to the pottery hamlet of Arguayo. 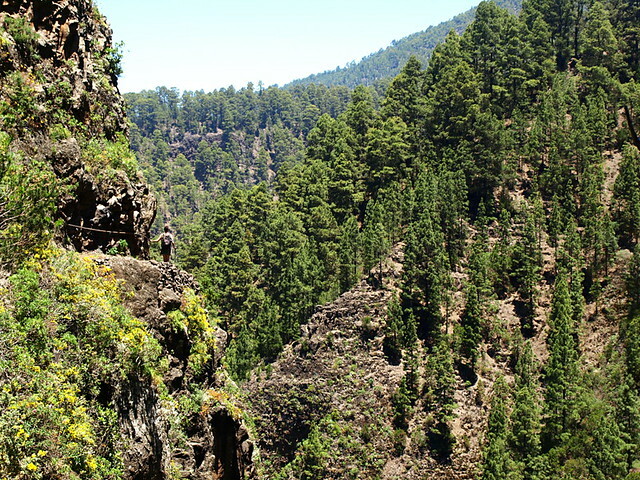 Less strenuous and one of the prettiest of walks, the climb above the Erjos Pools takes in pine forests and breathtaking views. 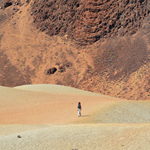 For literally ‘out of this World’ walking, Teide National Park offers an endless playground of trails where you can leave the tour bus crowds behind to disappear into a volcanic wonderland of wind eroded rock formations and volcanoes. 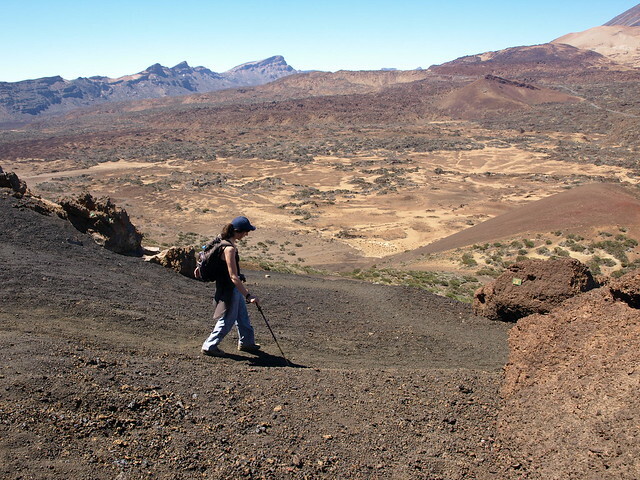 The ultimate challenge is to spurn the cable car and climb Mount Teide by foot – demanding and rewarding in equal measure. 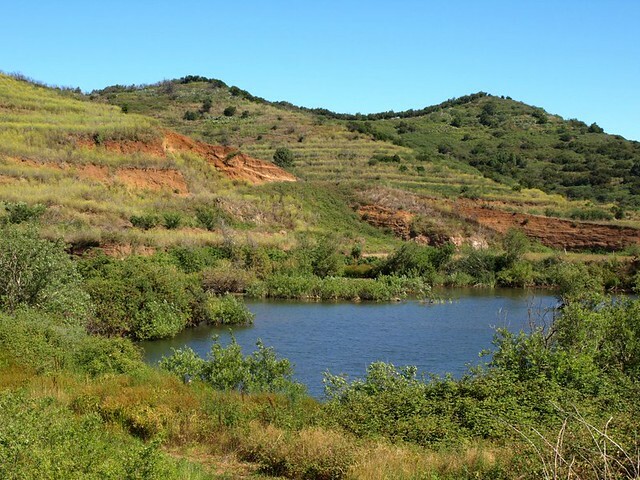 But for those who prefer to wear their underwear inside their trousers, trails lead to crater walls and take in the little known sport of volcano surfing.